The Centers for Medicare and Medicaid Services (CMS) has scheduled several Quality Payment Program (QPP) webinars. CMS is hosting a webinar on Physician Compare. Participants will learn about the 2017 QPP performance information targeted for public reporting and the upcoming 30-day data preview period. Registration: Registration information is available here. CMS is also hosting webinars for Accountable Care Organizations (ACOs) and groups that are reporting data for the Quality Performance Category through the CMS Web Interface for the 2018 performance year. 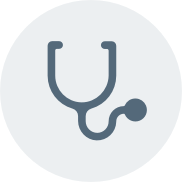 The CMS Web Interface is a secure, internet-based data submission mechanism for ACOs and groups of 25 or more clinicians submitting data to CMS. The webinars will highlight important information and updates on reporting quality data, and provide ACOs and groups with an opportunity to engage in Q&A sessions with CMS subject matter experts. The submission period for the CMS Web Interface will open on January 22, 2019 at 8:00 AM ET and close on March 22, 2019 at 8:00 PM ET. Prior to the start of the submission period, ACOs and groups will have an opportunity to explore/become familiar with the CMS Web Interface during a two-week test period (January 7-18, 2019). More information on the CMS Web Interface webinars is available here.